Getting her cast off! :) Piper was so amused by feet and legs! The biggest thing that I learned through our Spica journey was that kids are so resilient. I was amazed by how quickly Piper adapted to her new surroundings...a big bulky cast! I also learned the importance of patience and to truly take it one day at a time. I wish I knew, or believed at the time, that everything was going to be okay. Regardless of your situation, you will get through it and you and your baby will come out even stronger. SPICA TABLE! Piper's spica table was a life saver! It kept her entertained and she was able to sit upright, which was a major help. 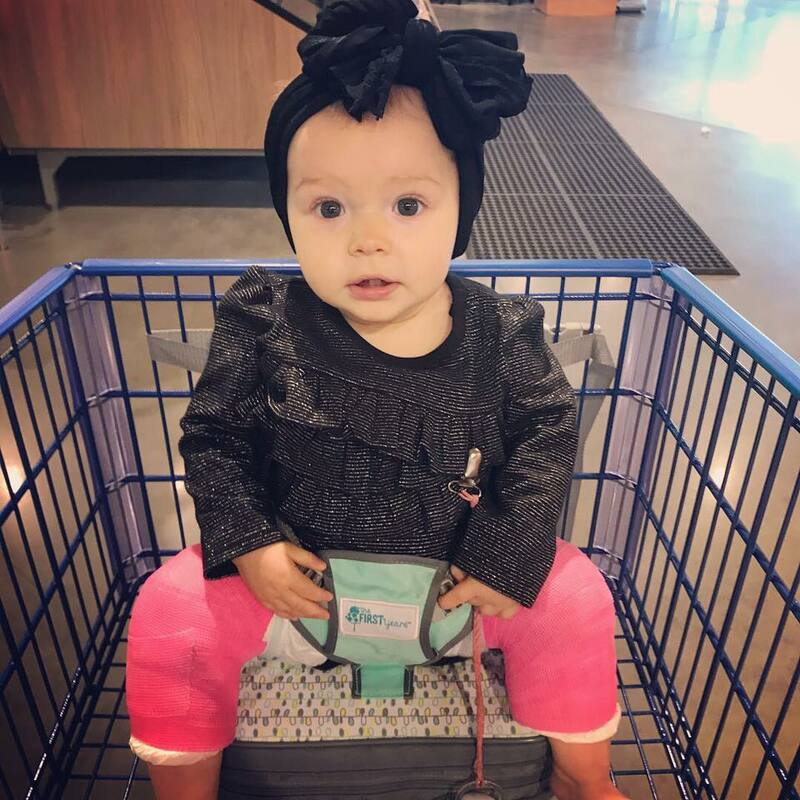 A stroller that fit her cast was also very helpful so that we could get some fresh air and get out of the house! I was absolutely devastated when we got the news that Piper would indeed need a spica cast. I couldn't come to terms with it and I was angry, sad, scared, mad and felt that I was getting robbed of her being a baby. Everyone around me had wonderful intentions, and tried to make me feel better but nothing could. Now being a spica pro :), my advice to any parent going through this, is to allow yourself to feel what you're feeling. Cry, be angry and sad but, also give it time. It will quickly become your new normal and while some days are harder than others, you will get through it. Your child will surprise you and just when you think you couldn't love them anymore, you do. It still amazes me that my baby taught ME so many life lessons during her time in the spica cast. Just remember, you will get through this and take it one day at a time.